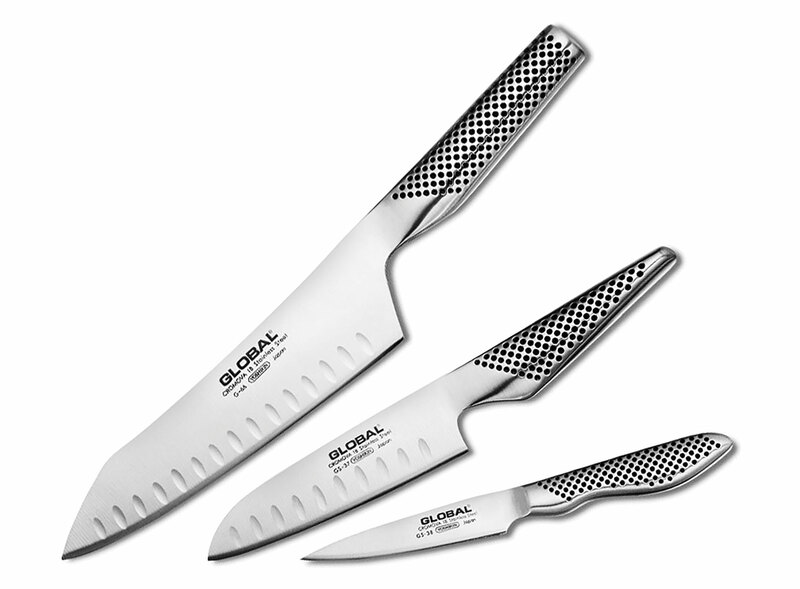 Global Knives have two most innovative features - their edge and the way they are balanced. 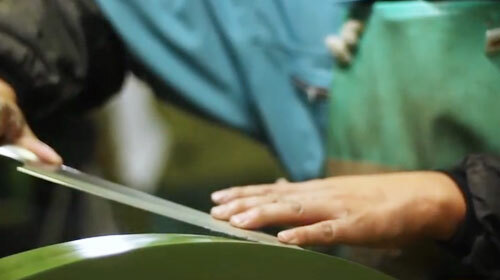 The most important feature of any knife is its edge, and the Global edge is truly its signature. 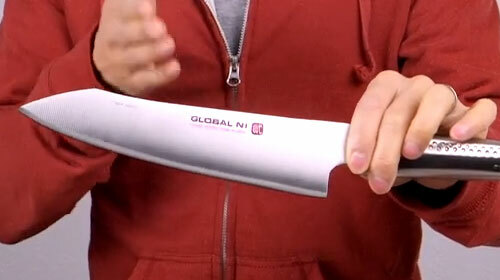 The majority of the Global knives are sharpened or ground on both sides of the blade like western style knives. However, their edges are ground straight to a point rather than beveled resulting in a dramatically sharper knife which stays sharper longer. 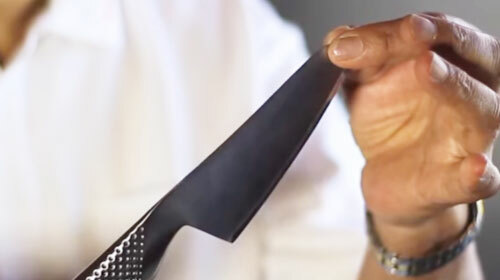 The edge is so large and prominent that it is easily seen with the naked eye and extends a quarter inch or more up from the tip of the knife.